Guest Editorial: Keep Calm and Carry On - Arizona Progress and Gazette | Smart Opinions. Mostly Right. The first parking solution is for Museum Square employees, specifically those who will be working at the proposed luxury hotel. Macdonald will work with Evolution Hospitality, a company that manages nearly 800 hotels and resort properties across the United States, to gather comprehensive parking data. Once it does, it will implement a thorough and exhaustive parking solution, that will be shared with area merchants for input and enhancements. Next, Macdonald is not only providing as much as parking as the Scottsdale code mandates, it is going above and beyond what the city requires. Specifically, it will include extensive guest parking and service vehicle parking. Indeed, one parking study found that Museum Square increases on-street parking in the Main Street area by 161% with 15 additional on-street angled parking stalls and 22 additional on street parallel parking stalls in the immediate area. Macdonald is also devoting attention to any parking complications that may arise during Museum Square’s construction. Unlike the false narrative of some critics, Museum Square isn’t being constructed all at once. Museum Square will be built out across four phases. During each phase of construction, Macdonald will devote vacant land it owns solely for construction. Simply put, construction workers won’t be parking in front of galleries and then walking over to the construction site. Another solution has been proposed by Councilmember Suzanne Klapp. Macdonald supports her suggestion to use funds from the proceeds of Museum Square’s land sale to construct a parking garage on 1st Avenue for additional parking. Macdonald will also seek a commitment from the City of Scottsdale for an increase in parking enforcement during Museum Square’s construction. Finally, there can be increased signage in the area to promote use of the Museum of the West’s underutilized parking garage. Should all these plans not satisfy those who are worried, there’s a municipal panacea that hasn’t been discussed too often. The City of Scottsdale itself can take the initiative to alleviate any perceived parking shortage. Indeed, the city has the funds and the ability to build a single level of parking underneath the Stagebrush Theatre parking lot! This isn’t a novel concept. That’s exactly what Scottsdale did at the Southbridge development several years ago, when it dug deep (figuratively and literally) and built two levels of public underground parking. 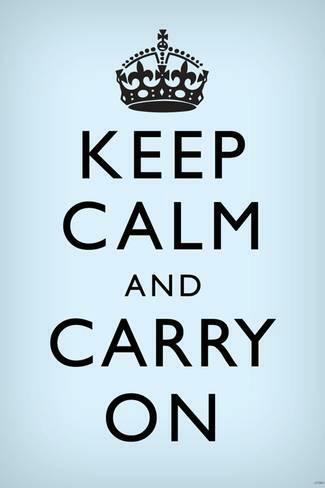 So, let’s all take a deep breath, work together as a community and keep calm and carry on. Effective solutions are on the way and Museum Square is well worth the effort.